Following the death of 2018 Big 12 Individual golf champion Celia Barquin Arozamena, the Big 12 Conference, has banded together to show support for the Iowa State athletics family, which is reeling in the wake of last week’s incident. Volleyball programs from the conference have stood on common ground with the Cyclones and mourned the loss of Barquin Arozamena. Baylor players donned gold ribbons in their hair and on their shoes for their match and joined Iowa State in a moment of silence prematch to pay tribute. 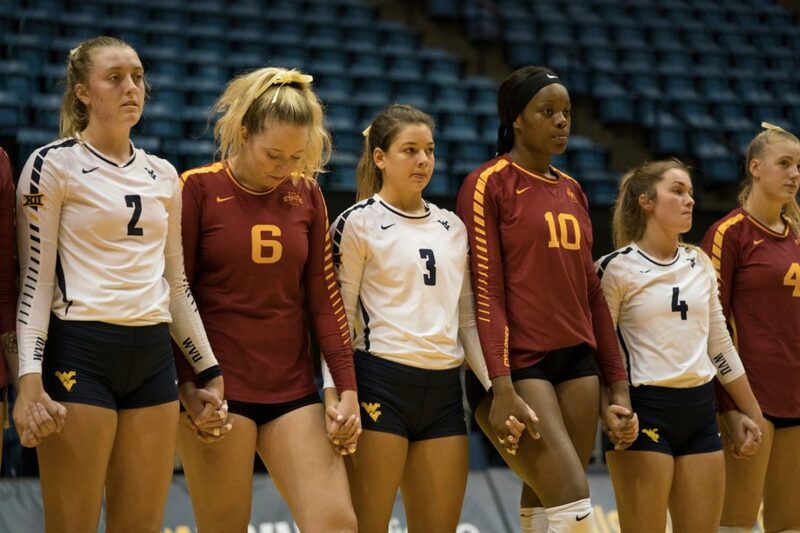 West Virginia also took part in a moment of silence prior to the match in Morgantown, W.Va. last week. Prior to last night's match, both teams united for a moment of silence in honor of @CycloneWGOLF's Celia Barquin Arozamena. Both teams wore yellow ribbons in her honor as well. Iowa State is even memorializing Barquin Arozamena with a CBA patch on its uniforms and wearing yellow warmup shirts. These efforts along with those of Iowa State have touched the Barquin Arozamena family. Her brother, Andres, shared this heartfelt thank you for all the support the family has received over the last week. Arozamena was found on a golf course last week week having been killed by stabbing. A suspect has been charged with murder.